Gunsite Academy Inc., the Nation’s oldest privately owned and operated civilian firearms training academy, is saddened and angered by the violence in our schools. Our mission is “. . . to provide good people with the skills by which they may conduct themselves as responsible citizens of a free Republic.” We recognize that the best way to stop a bad guy with a gun is a good guy with a gun. Proper training is crucial to achieve the objective of keeping our young people safe in their schools. It is crucial that we recognize that local leaders must be the impetus of changes in the safety and security policies in our local schools. 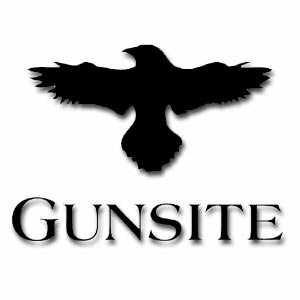 To further positive changes of the safety and security in our Republic’s schools, Gunsite will offer a free five (5) day 250 Pistol Course (tuition) at our northern Arizona training facility to School Superintendents, Assistant Superintendents, and School Board Presidents. Our hope is that we educate these policy makers and help them formulate programs within their schools to train and arm their teachers to better protect our youth. Those wishing further information should contact Gunsite Chief Operating Officer Ken Campbell at (928)-636-4565 or Ken@gunsite.com. This past week Sonoran Alliance reported that Janifer “Jana” Jackson, a candidate for the Superintendent of Maricopa County schools, has a serious ghost in her closet that voters deserve to know about. Years ago, when she was living in Indiana, she was taken to court over “check deception.” The plot twist? She failed to appear in court and subsequently had a warrant out for her arrest (see case number 53C06-9309-CM-04018). Today, however, we are ready to divulge that this was actually neither the first nor the last time Jackson was charged with a crime, taken to court, and failed to show up. To be exact, while she was living in Indiana, she failed to appear in court on six other occasions. See the end of the article for the case numbers for further information. These cases range from Jackson being taken to court by her former home-county, the Monroe County Bank, the Bloomington Herald Times, all the way to being sued by the State of Indiana. Ladies and gentlemen, this may be the year of the outsider to run for office, but it is not the year of the criminal. We must hold our elected officials to a higher standard, especially those who influence our children, their education, and their subsequent futures. Jana Jackson is absolutely unqualified to be the next Superintendent of Public Instruction for Maricopa County. Case numbers: 53C05-5903-SC-00591, 53C05-9408-CP-00841, 53C01-9405-CP-00556, 53C02-9311-SC-03072, 53C06-9311-CP-01378, and 53C03-9308-CP-00940. Amidst this year’s biggest political races ranging from Arizona’s heated U.S. Senate race to different Congressional races, we often overlook other, important elections. For example, the election for Maricopa County Schools’ next superintendent is absolutely critical to the county and all of our children. According to Wikipedia, Maricopa county is the “most populous county in the state, and the fourth-most populous in the United States. It is more populous than 23 states.” These statistics only add to the increasing importance of electing the right person for the job, which in our opinion is not Jana Jackson. Why, you ask? Because as an education leader for this nation’s 4th largest county and someone who will influence our children’s’ futures, we expect nothing short of complete honesty and integrity. Let’s start off with this simple requirement: we expect the Superintendent to never have a warrant out for his or her arrest due to failing to appear in court for charges of any kind. Janifer “Jana” Jackson, previously Janifer Mayden, would not fulfil such a requirement back when she lived in Indiana (click link to see more). Besides, “check deception” is not exactly a speeding ticket or two… this is a serious charge. A charge which Jackson evidently avoided and ran from seeing as she never appeared in court. We all make mistakes, yes. However, what sort of example would Jackson be setting for our children and for the county if she is elected? This is not a record suitable for a public official in charge of our schools. Arizona’s schools need improvement. We’ve increased per student spending by nearly 30% in recent years. The result? According to The Arizona Republic, “The Class of 2009 posted average SAT scores that are among the lowest in at least a decade.” (8/26/2009) Other measures show academic achievement in Arizona schools either flat or on the decline. Clearly, taxpayers are not getting the value they deserve for their hard earned tax dollars, and many students aren’t getting the education they’ll need to succeed in the workplaces of tomorrow. 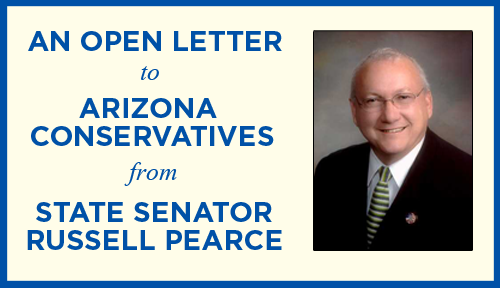 I believe State Senator John Huppenthal is the leader we need to bring about improvement in Arizona’s schools, and I’m urging Arizona conservatives to support his candidacy for Superintendent of Public Instruction. I know John well. We’ve served side by side in the Arizona legislature for many years, fighting on behalf of taxpayers and the law-abiding citizens of this state. I believe that with John Huppenthal’s leadership as Arizona’s next Superintendent of Public Instruction, Arizona schools will be well positioned for steady improvements in academic achievement. John is strongly opposed to bi-lingual education and supports English immersion for students who can’t speak English. He is committed to ending “social promotion” and will demand accountability and higher standards. In addition to his conservative track record on education issues, John has proven himself to be a leader Arizonans can trust on other issues as well. John has worked hard to stop illegal immigration, protect life and marriage, secure our Second Amendment rights and fight wasteful spending. Sheriff Joe Arpaio, Len Munsil, Congressman Trent Franks and other conservative leaders across Arizona have endorsed John and are helping the campaign. Now, John needs conservatives like YOU to help spread the word. Please take the time to tell your friends and neighbors about John Huppenthal’s campaign for Superintendent of Public Instruction. I’ve been in some tough campaigns myself, facing off against some of the same liberal groups that are sure to come after John. I know from experience that word of mouth advertising is more powerful than television or piece of mail. As conservatives, we fight to preserve Faith, Family, Freedom and Country. I’m grateful you’ve taken the time to read this letter. Thank you, and may God bless you and may God continue to bless this great Republic.